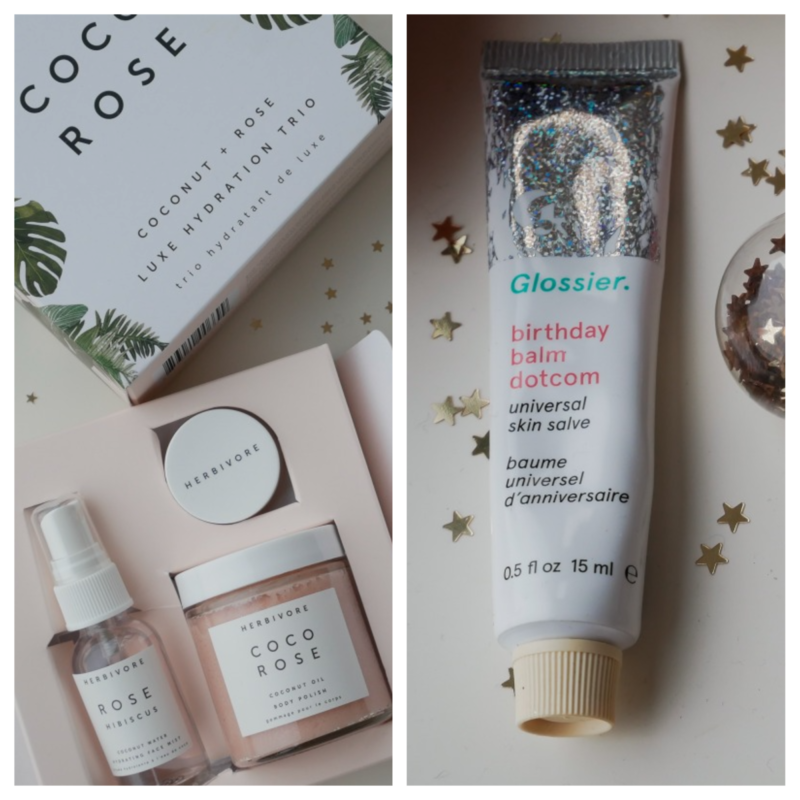 Since Glossier is still a fairly new brand in the UK, you can't go wrong with gifting their products. 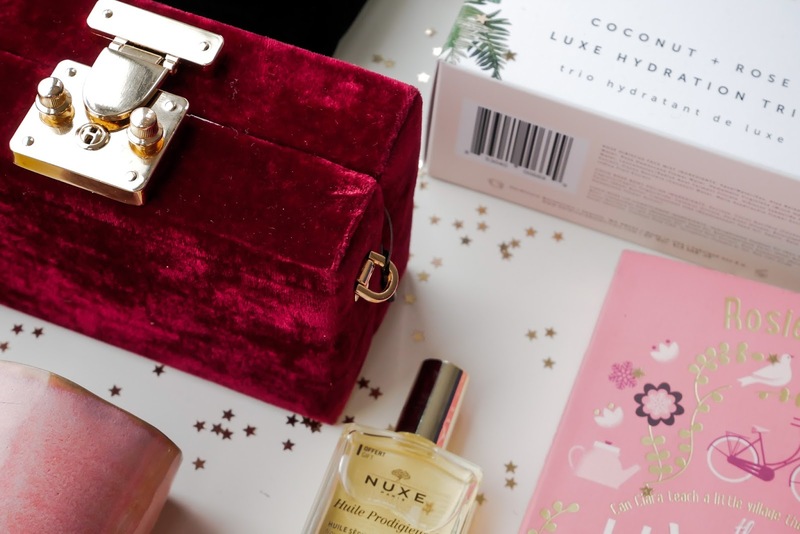 The Birthday Balm Dot Com makes for a super-cute Secret Santa present as well as a multi-purpose stocking filler. Apart from the covetable packaging, it smells exactly like birthday cake and who doesn't like cake, right? 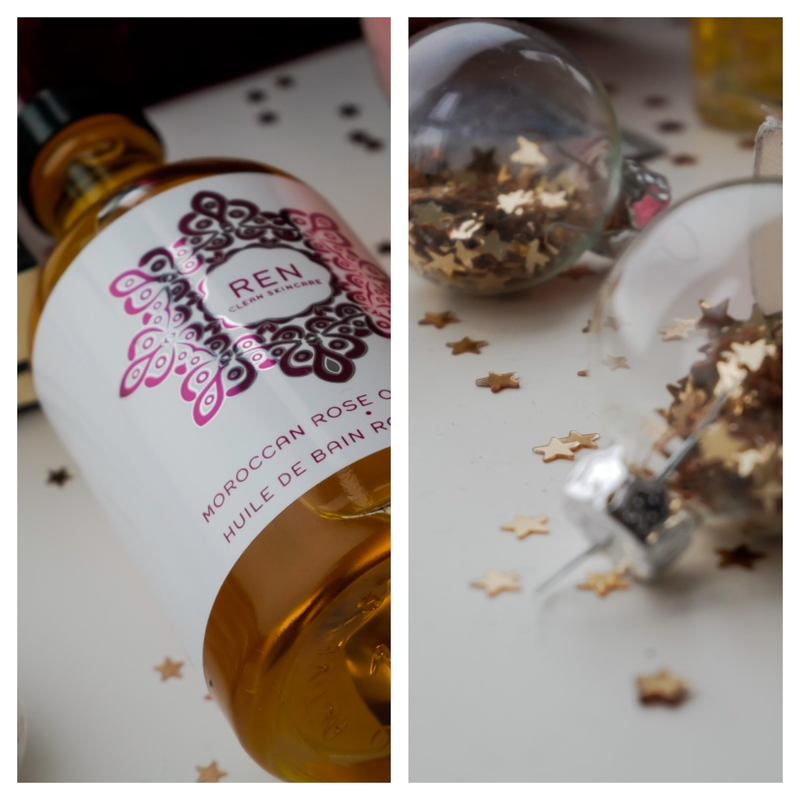 If you're looking for a more indulgent present for a pal who is always on-the-go, I can't recommend the Ren Moroccan Otto Bath Oil enough. Apart from turning her bathroom into a spa with its heavenly scent, it'll provide an opportunity for her to kick back and relax. Another lush option is the Lixir Electrogel Cleanser - a no-frills, straightforward (and seriously pretty) cleanser that works for all skin types. When Christmas is long over and the tell-tale signs of too much alcohol start to show on the skin, she'll be chuffed that you bought her this. The Herbivore Botanicals Coco Rose set is perfect for those who enjoy a good dose of bath time. It comes with a tropical-scented body polish, a moisturising mist and a pretty pink lip balm. 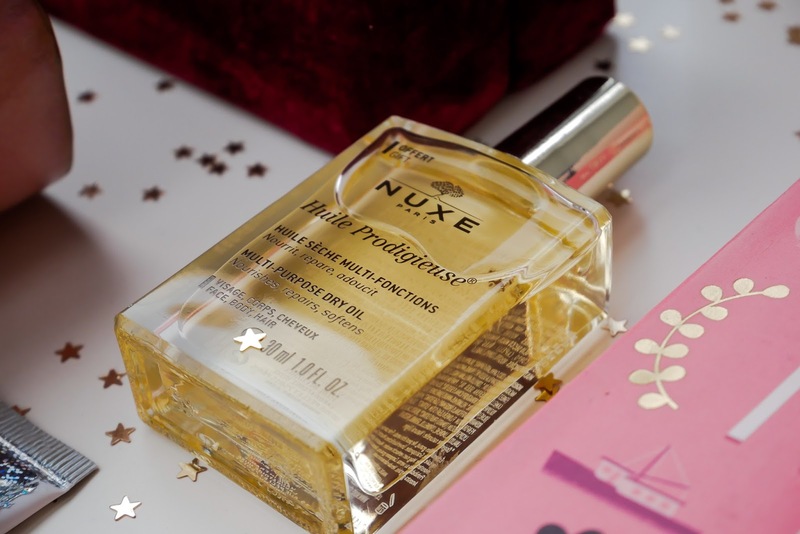 A French pharmacy-favourite - the Nuxe Multi-purpose Dry Oil is a winter-appropriate stocking filler. Also, who doesn't want glistening skin a la our Parisian pals, right? Now, I'm super excited to share this! It's a monthly book subscription called Reading In Heels (how posh! ), where they send you a book (modern, literary fiction) with a few extra goodies thrown in. If their previous boxes are anything to go by, your (lucky) friend is in for a real treat. This is literally the definition of a gift that keeps on giving. 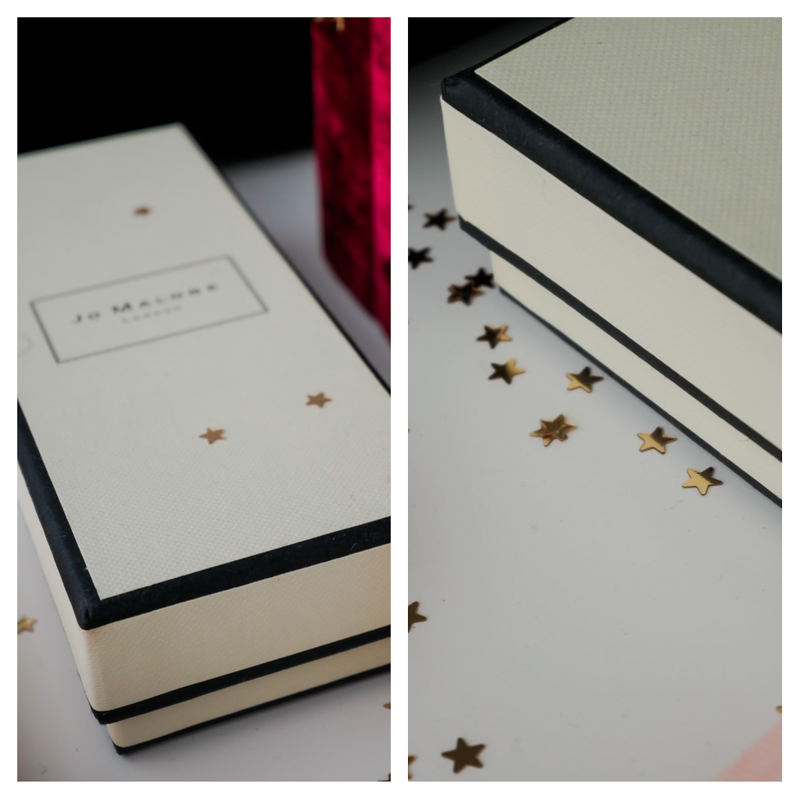 Gifting a fragrance can be tricky business but this scent-sational set from Jo Malone comes with a miniature perfume and candle - perfect for trialling before investing in full-sized products. Velvet is back in a big way, and the best way to embrace the trend is through accessories. This gorgeous red Coffer Bag with gold hardware is perfect if you want to spoil a loved-one (or yourself). This spangly star-strewn pouch from New Look doubles up as a makeup bag and a party clutch. Ingenious! Perfect for the interiors-obsessed, these ceramic pots from Etsy are perfect for storing knick-knacks and work well as a planter too. 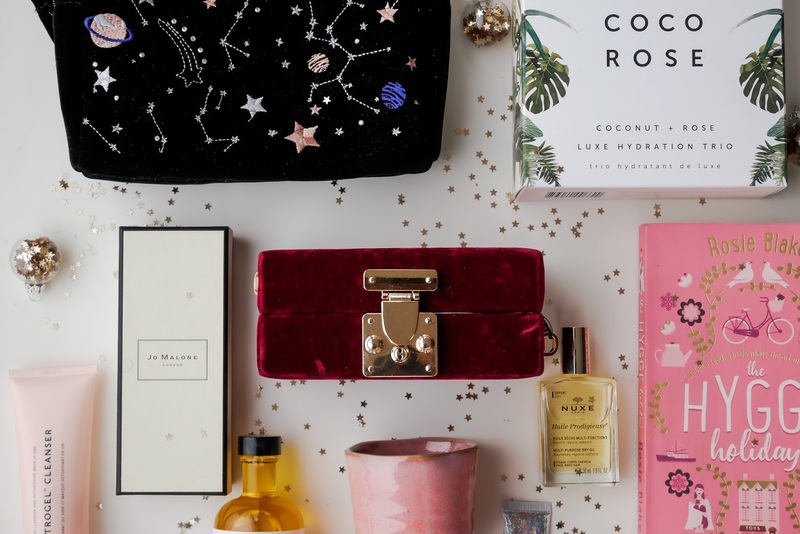 As a thank you I'm going to be giving away the Herbivore Botanicals Coco Luxe Set. It's open internationally.